I love corn and this is perfect! Will definitely be making this. Creamed corn is great but I've never had it other than from teh can. This would blow my mind. I adore creamed corn! This sounds perfect! Yeah, I can't wait to try it! Thanks for posting. Yum! Nothing better than creamed corn! I love creamed corn. I always used to mix it with rice when I was a kid. 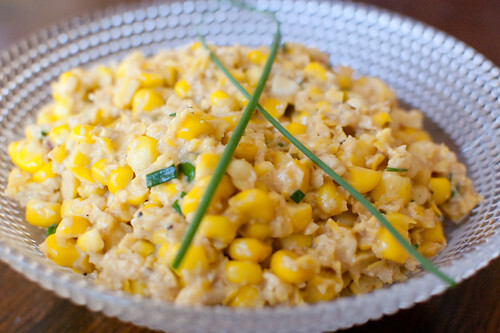 Creamed corn - one of my all time favorites. I was looking for the perfect side dish... it has been found!